Victor Frankenstein’s science experiment was very much a part of his home life, and though you and your kids should not spark a monster to life, you can bring science to your home too. These three demonstrations require few materials and the procedures are easy. Lesson: They’re alive! 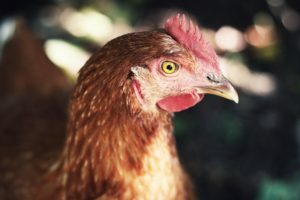 Bone tissue lives and grows inside of us–chickens too. Bones are made up of bendy collagen and hard calcium-phosphate. The mild acid in vinegar dissolves the calcium, leaving the collagen free to bend by your hands. Lesson: Science follows rules just like people do. In physics, there is a rule called The Law of Conservation of Mass. Mass is the amount of matter that an object, such as a stack of blocks, contains. Matter can’t be created or destroyed, so the mass you start with in a stack of blocks is the same you end with when the stack is taken apart.